Checkers & Rally's is spreading like wildfire and the brand is riding a coast-to-coast wave of growth momentum that offers qualified and interested multi-unit franchisees a way to open units fast in the brand's numerous opportunity markets. Checkers & Rally's is approaching 900 locations operating across the U.S. and continued growth is a part of the brand's plan moving ahead. The Tampa-based restaurant chain is looking for franchisee partners in territories all across the U.S. from Michigan, Ohio, New Jersey, and the Carolinas to Pennsylvania, Virginia, Massachusetts, and California. Northern and southern New Jersey are prime markets for the burger brand and officials would like to see dozens more open in the Garden State by year-end. "We already have 13 Checkers in the state and we have the capacity for at least 60," said Bruce Kim, Franchise Development Director for Checkers & Rally's. "New Jersey is underserved by our brand, there's plenty of room for growth." Meanwhile out west, where the brand operates as Rally's, officials say California is ripe for the growing. Sacramento, San Jose, Santa Clara, and Inland Empire are all cities where the brand is looking for partners. "Right now we're in the validation stage of who we're going to choose to go ahead and get started in that market (Santa Clara) with the first location and then ultimately after that, the second big stone that you've got to get unturned is finding the right location. And that's one of the really challenging but opportunistic things about Santa Clara," said Checkers and Rally's Director of Franchise Development Robert Bhagwandat. He said the brand hopes to eventually open up to 34 restaurants throughout the South Bay area. Checkers & Rally's is on a roll thanks to its new modular store design, throwback style, and high-quality food. The drive-thru style restaurants occupy less than 1,000 square feet, require a smaller workforce, and offer a value proposition of a good meal at a good price. The brand's new modular building design is quicker to develop and the building cost starts at approximately $294,000. Midwesterners will have their chance with the expanding brand, too. Kim says the brand is looking to open two dozen Checkers restaurants in the Pittsburgh area over the next three to seven years. The first new Checkers in that market is expected to open later this year or early in 2019. "Our analysis shows we have the capacity for at least two dozen stores in the Pittsburgh area," said Kim. He says the brand looks for careful, sustained growth with the right people and franchisees. Southern markets like Memphis are also on deck for Checkers expansion. 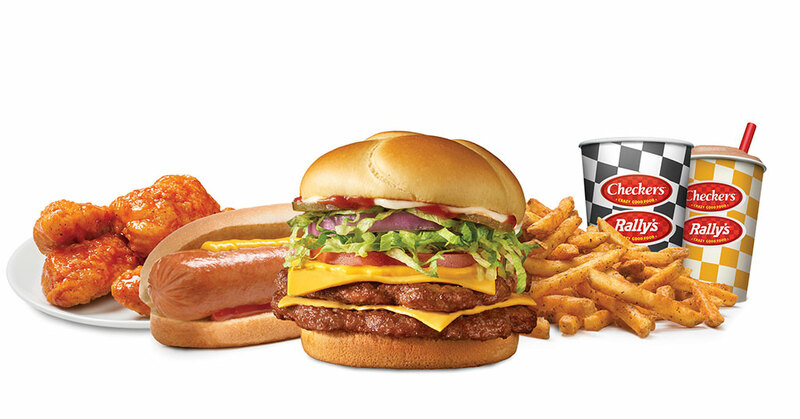 Checkers franchisee Tristate Restaurants LLC just opened its newest location there in May and plans for as many as five more locations over the next couple of years. "We're still far away from achieving maximum capacity or saturation in Memphis. It could easily handle another 10 stores," said Kim of the Checkers & Rally's brand. "We're not small, but we're not big either, so we have plenty of room for growth nationwide and per market," said Kim. 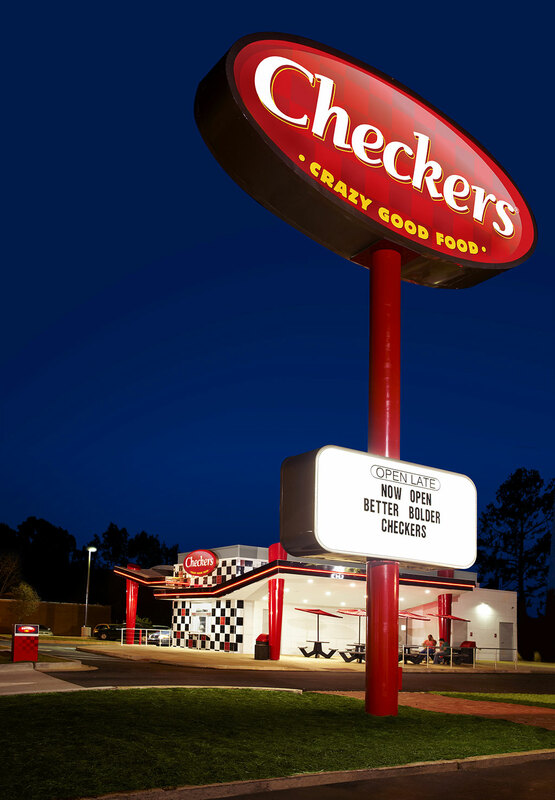 For more information on becoming a franchisee with the Checkers & Rally's brand visit http://checkersfranchising.com/.